How often does it happen that you forgot where you put your keys? The problem is that you cannot ring them as you can with a cellular phone, so you waste precious time looking for them. Still, your keys are usually where you put them, they do not wander off like your dog. Wouldn’t you be more assured if you had a solution to find your curious friend anytime, anywhere? The Tile dog tracker is not just a dog tracker – it comes in a pack of four and you can use it as a key and a phone finder as well. 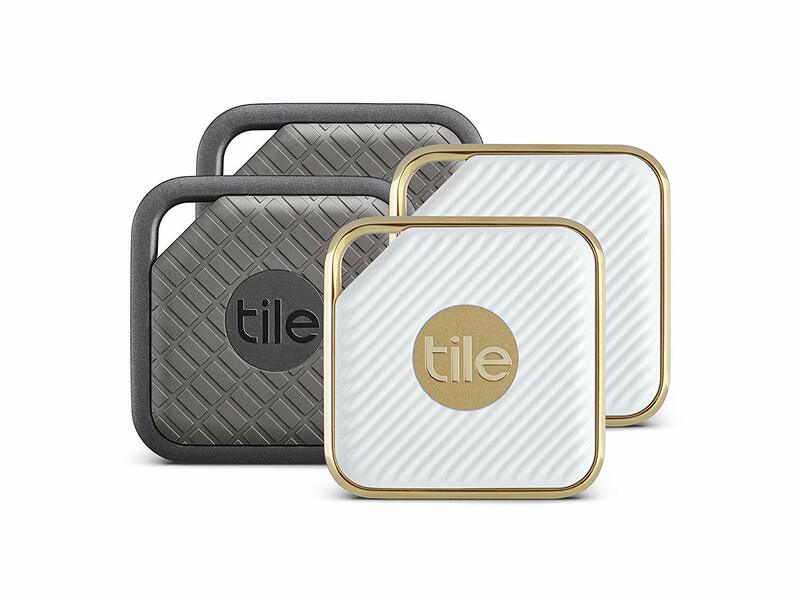 Tile calls this product an “anything finder” and it is for a good reason. These units feature a 300-foot range and are twice as loud as other Tile gadgets. Let’s not forget that they are waterproof as well. Moreover, the Tile app remembers where and when you left something behind. You can also be a part of the Tile community with millions of users who can help you find your lost things faster. These days, having such busy lives and many things on our minds, it is easy to forget where you left something; what are we talking about? We often leave things behind without even realizing it. 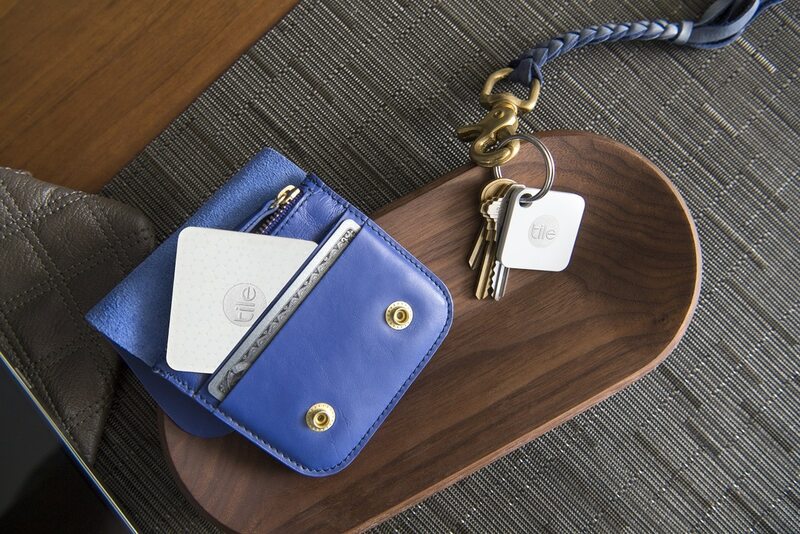 The Tile Combo Pack is truly a great way to help you find your things, saving you a lot of time and headaches. This product is quite easy to use. Basically, all you have to do is ring it and find it! If you are within Bluetooth range, you can use the Tile app on your smartphone or tablet to ring your tiles, or even see them on the map when they are further away. In case you cannot find your phone, you only have to double tap the button on your Tile, and the phone will begin to ring, even on silent mode. One of the most important features for portable devices is battery life. Guess what? This product was designed to run a full year with zero upkeep from your part, no charging, and no replacement. The company will notify you when it is time for a new Tile through the reTile program, which is a great way to upgrade your gadgets to the latest technology without wasting any precious time that doing your own legwork would imply. The Tile GPS tracker for dogs is a great way to keep track of your wandering friend, and perhaps no amount of money is enough to keep your loved pet safe (although spending a few bucks for this gadget definitely helps). However, this unit is so great as it allows you to attach a tile not only to your dog’s collar but on your keys, wallet, traveling bags, you name it! This truly is a big plus as you can ensure you don’t spend half a day searching for stuff that’s important but missing (perhaps in the big pile of things that are lost George Carlin was talking about). In addition, you can use it on many types of smart devices, as it is compatible with both iOS and Android 4.4 with Bluetooth 4.0 and above. The Tile Pro Series comes in two different designs — Tile Style and Tile Sport, which are elegant and durable, and you can match them according to your taste. They are slim and small enough to fit your dog’s collar, your keychain, or your wallet. They even look good attached to your traveling bags. The iconic rectangle is smaller than previous models, and also less bulky. Therefore, it is able to go more places. In other words, it is small, discreet, and stylish, perfect to take anywhere. You’ll also love the fact that these units come with a waterproof design (up to 5 feet and up to 60 minutes), which means you won’t have to worry if your dog decides to go for a swim in that small pond in the park. The Pro Series maximum range is 300 feet (90 meters). Still, you should know that all the wireless technologies and different environments can impact the effective range of Bluetooth signals. In case your Tile is not in the Bluetooth range, you have the possibility to check its last known location on the application. This data is updated automatically whenever someone in the Tile community is in the Bluetooth range of your Tile. From the customer’s perspective, this is a great, useful product that comes with excellent reviews. What most owners appreciate these items for is the time saved by not having to search for misplaced objects. You cannot imagine the wide range of things the Tiles are used for — dogs’ collars, keys, car keys, phones, remotes, wallets, or reading glasses. Buyers mentioned that it is very easy to set up and use the units. Moreover, many owners are impressed with the range, which is much better than in the case of other similar products. Surely, this is not a perfect item; things can always be improved. Some customers do not like the fact that you have to replace the Tiles every year, as you cannot change the battery. Some mentioned that the sound is not loud enough and you need to be closer to the tile, and the available tones can be diversified a bit. Honestly, just knowing that products of this type exist can bring a lot of piece of mind. Having the possibility to track down your dog in case he or she got lost from you is the best perk. The Tiles’ small and discreet construction offers you the possibility to attach them the other objects that you usually misplace. All this saves time, headaches, and even money.